We're on a mission! 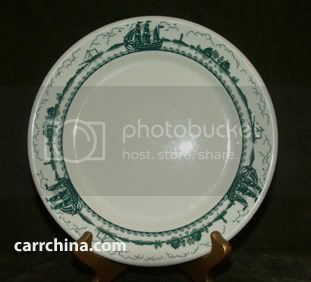 Help us to complete our listing of known Carr China patterns and document their images to help other collectors identify their pieces. 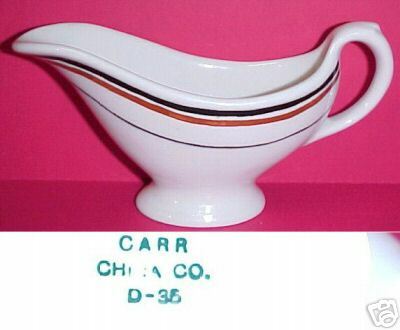 The listing below is a partial list of Carr China patterns - with pattern numbers where known. Names with an asterisk (*) behind it indicate patterns where we have images available. 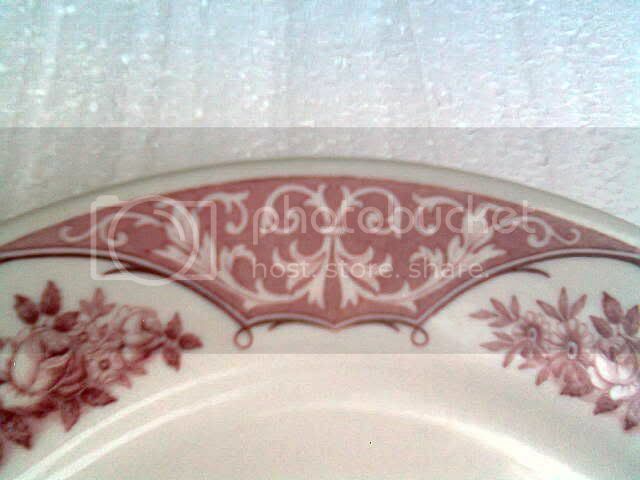 If you have an image of the remaining patterns, we'd appreciate your sharing it us for use on this site. 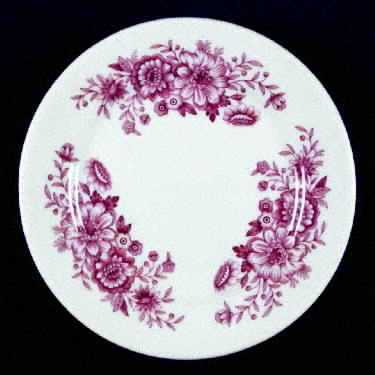 This oval platter, measuring 13 1/2" by 9 1/4" was found in Connecticut. 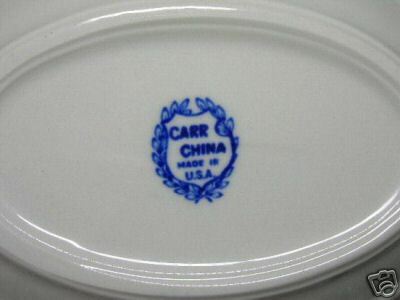 It is an early Carr China piece and bears the name "Ala Mode" as indicated on the backstamp. 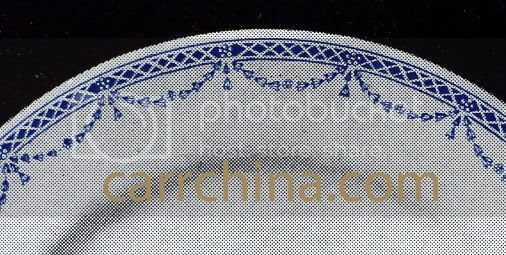 While damaged (see hairline fracture at 5:00), the piece is highly desirable due to the rarity of the pattern example. The attached form, in a Microsoft Word format, can be used to document the pattern information you would like to share on this site. Instructions for submitting pattern photo's are also included. Deciphering Carr's underglaze line treatments have perplexed many a collector. Each line placement design had a distinct code associated with it to enable customers and distributors to consistently order replacement pieces. 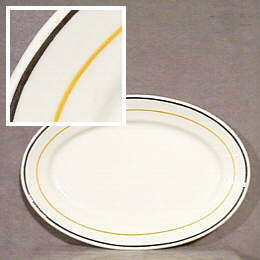 The line code for the rolled-edge sauce boat below is L-105.